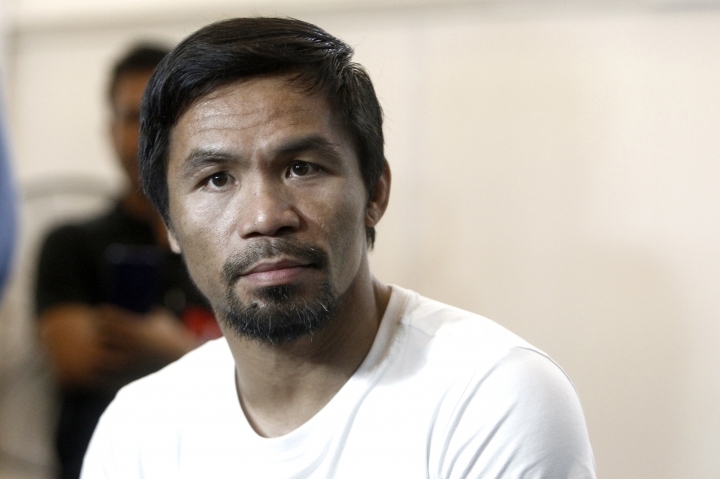 KUALA LUMPUR, Malaysia — Filipino boxing icon Manny Pacquiao said Thursday he is prepared for an action-packed fight against aggressive Argentinian Lucas Matthysse in Sunday's world title bout that could put his illustrious career at stake. Pacquiao, who turns 40 in December, returns to the ring a year after losing his World Boxing Organization welterweight title in a shock defeat to Australia's Jeff Horn in Brisbane. Pacquiao said he chose to fight Matthysse, the current World Boxing Association welterweight champion, because the Argentinian is aggressive and they could both provide "a lot of action" in the ring. 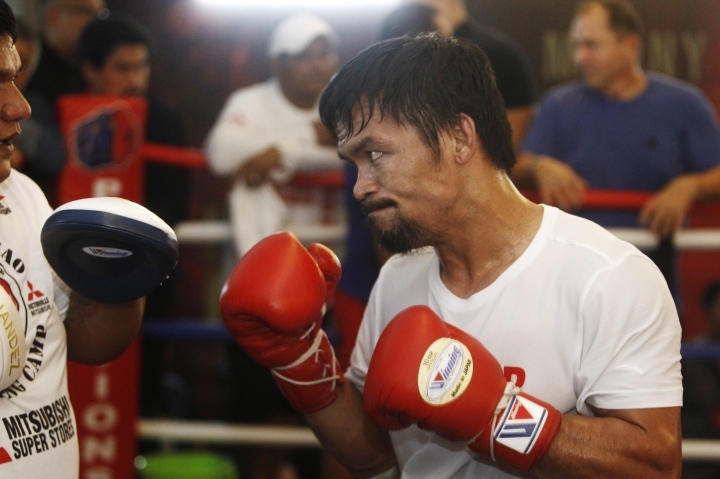 "It's going to be a good fight," Pacquiao said at a news conference. "I don't care if he has 36 knockouts...it's about your talent and skill inside the ring. Let's see on Sunday who will be the best." A once impoverished rural boy who turned into one of the world's wealthiest sportsman and now a Filipino senator, Pacquiao's rags-to-riches story has inspired many in his country. 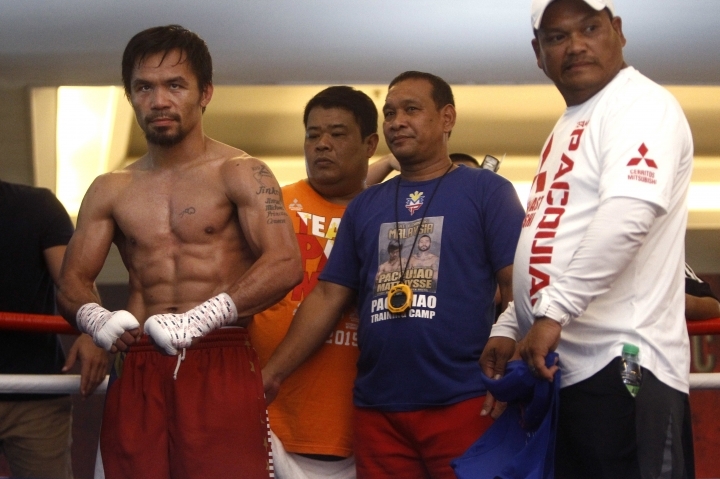 His biggest supporter on Sunday will be Filipino President Filipino Duterte, who will arrive in Malaysia to watch the bout ahead of an official visit. "Pacman" Pacquiao, 39, has won 59 times, including 38 by knockout, and lost seven times (three by knockout) along with two draws. Matthysse, 35, has 39 wins — 36 by knockout — and four losses, one of them by knockout. 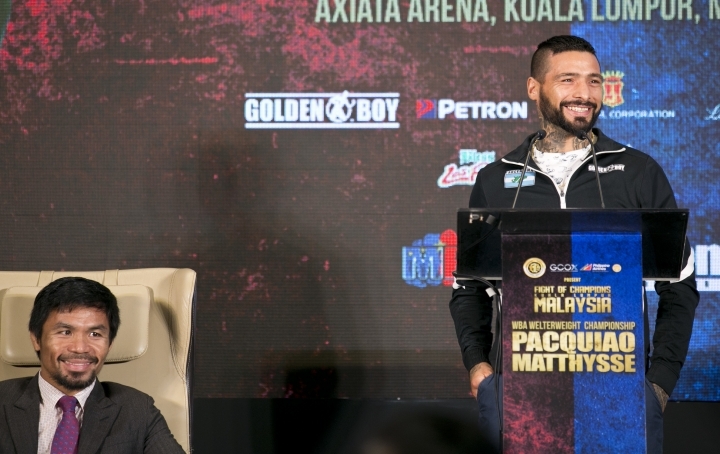 Matthysse told the news conference he is determined to defend his title and isn't concerned that it could end Pacquiao's career if the Filipino loses. He said it has been his dream since young to fight Pacquiao, an 11-time world champion across eight divisions. 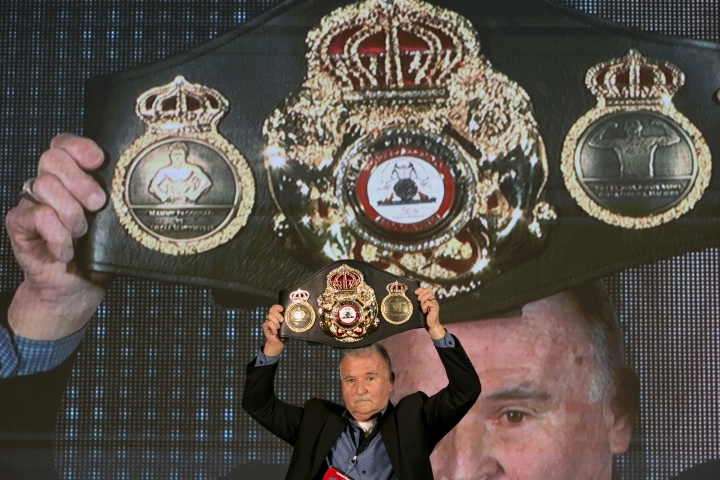 "He's a great champion but he hasn't faced the 'great machine', Lucas Matthysse," he said, referring to his moniker. "If he decides to retire, that's his decision. I'm here to defend my title." 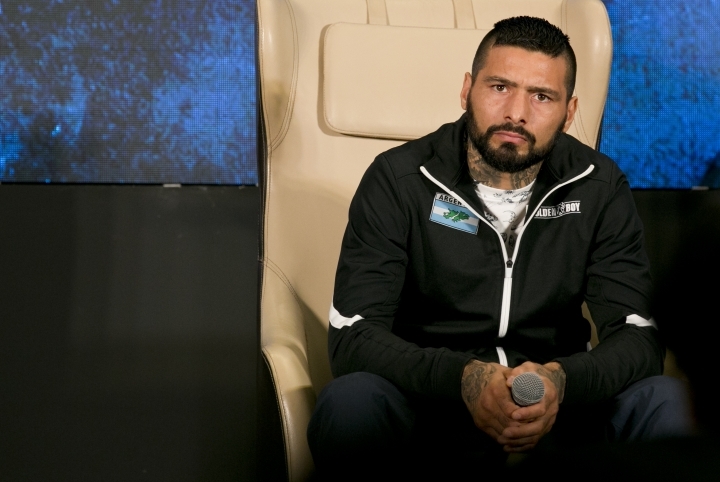 Matthysse may be the underdog but his trainer Joel Diaz said "nothing is impossible." Matthysse "is not here to collect a pay check. He is here to bring back his title to his country and his people," Diaz said. With both boxers beyond their prime, Diaz has previously predicted a "50/50" chance of winning for either but he said he believed Matthysse is more focused while Pacquiao has other distractions outside boxing that could be disadvantage him. Beyond boxing and politics, Pacquiao has also dabbled in basketball, business, TV hosting, acting and singing. His most recent venture is into cryptocurrency, as an investor in Singapore-based blockchain firm Global Crypto Offering Exchange (GCOX). Pacquiao will next month launch his "PAC Token," becoming the latest athlete to launch a virtual currency following Floyd Mayweather and former England striker Michael Owen. The token can be used to buy exclusive Pacquiao merchandise and interact with him via live-streaming, and its value is supposed to be indicative of his popularity. "It's not easy but this is time management. I have good people around me," said Pacquiao, when asked about his political career and multiple interests. "Right now, my focus is to fight on Sunday to give an inspiration to the Filipino people and to my fans all over the world."